I’ve been on holiday, but I haven’t stopped being active and having fun. 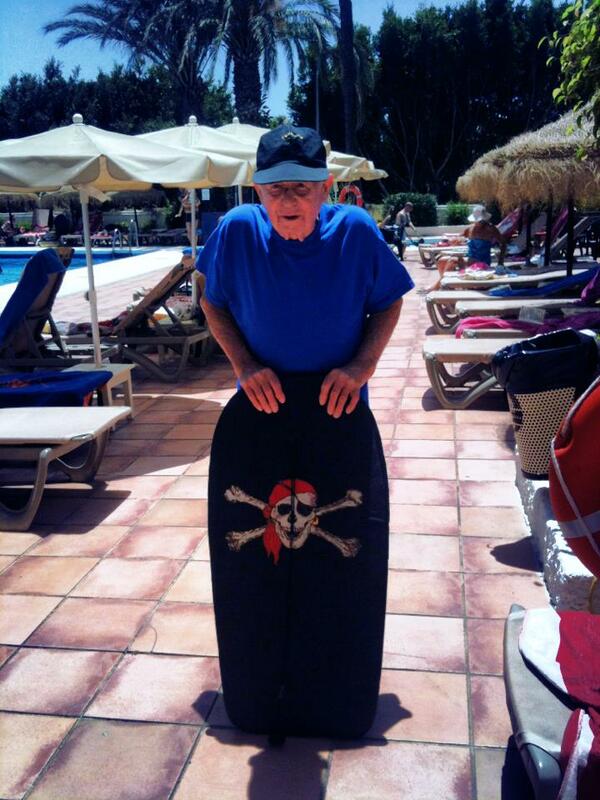 I’m just back from Torremolinas in Spain, where I took my dad to celebrate his 88th birthday. We stayed in the Sol Aloah Puerto 4-star hotel with a deal from Clickandgo.com travel – and I’ve got to say we had a ball. it wasn’t a freebie or a sponsorship or anything, so I’ve no avaricious reason to promote or advertise the travel company or the hotel, other than to say how brilliant they were and how fantastic they were in tailoring the trip to myself and dad. They really delivered and I think that’s worth a shout-out. Thanks lads. The hotel is situated right on the beach between two Irish bars, walking distance from the Marina, with plenty of shops and restaurants nearby, and the sea-front promenade that comes alive at night with a magical display of impromptu music, traders and entertainers. During the day we soaked up the sun, ate too much, enjoyed happy hour and spent ages in the sea Although the Med hadn’t quite warmed up to Summer temperatures, it was certainly warmer than my Sunday swims in Malahide. During the trip, Dad came kayaking with me, and body boarding and sailing – which is all pretty impressive, given the fact that he doesn’t swim! The snorkelling was going well too, until the mouthpiece snagged in his false teeth…. 1,000 metre swims twice daily, 2 half-hour kayak trips, 30-min jogs each morning at dawn, some snorkelling, body-boarding and sailing, lots of walking. Tuesday June 18th – 30k cycle, 45-mins weights session in gym, climbing with a mate at Awesome Walls.